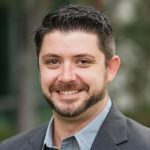 Our newest board member, Dan Warmenhoven, recently joined Justin Warren of PivotNine on his new podcast, The Eigencast, to talk about his reasons for joining the Cohesity Board. Justin talks to Dan Warmenhoven, newly on the board of hyper-converged secondary storage company Cohesity. He talks about what a veteran of the industry brings to a company like Cohesity (experience and the ability to mentor the CEO, Mohit Aron, who was a co-founder of Nutanix) and the company’s prospects. I find Dan’s transparency refreshing. It was also great to hear re-validation of many of the reasons I joined Cohesity myself, and even some that you would never think of out of the C-suite! Dan brings an interesting perspective. Not only was he the CEO of one of the biggest storage vendors in history for more than a decade, but he’s been involved in Cybersecurity as well, as he is also a former board member of ARUBA (pre-HP-acquisition) and currently on the board at Palo Alto Networks. His viewpoints on the evolution of roles and methods within the modern enterprise really caught my attention as well. From one ex-NetApp’er to another, I’m truly looking forward to working with Dan! Many thanks to Justin for hosting and producing the show, and I’m happy to give him a little love here on the blog!